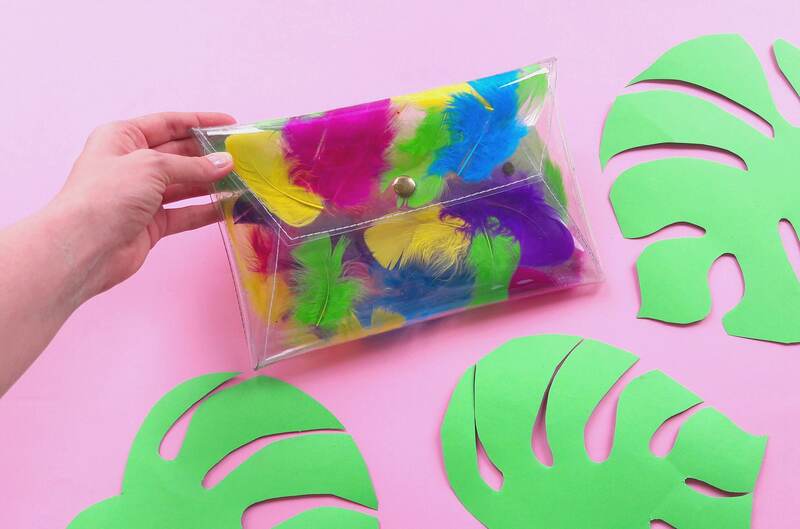 Neon clutch bag with real pink green blue yellow purple feathers, Colorful handbag, neon envelope bag, OOAK handbag, unique bag, party bag, evening clear bags clutches prom, festival boho, clutch envelope transparent bag with colorfull neon real feather! 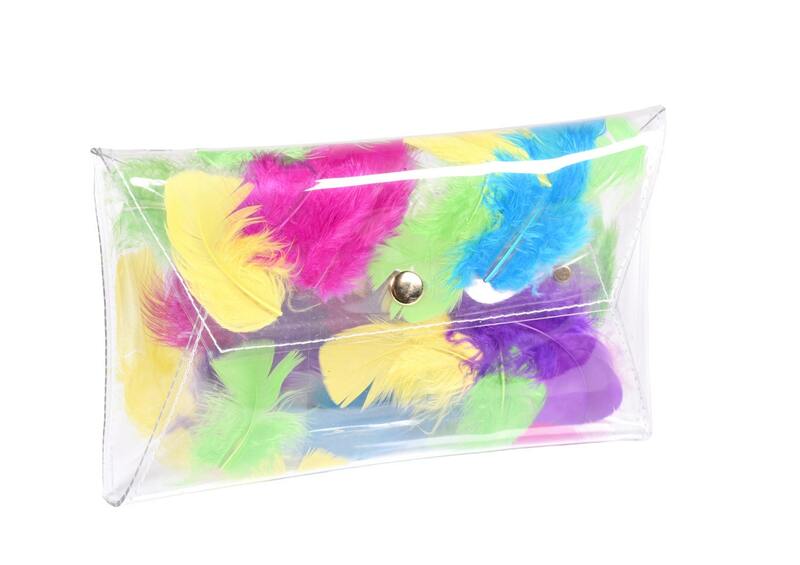 Clutch bag is made ​​of two layers of elastic crystalline film there between are real colorful feathers ( yellow, green, purple, pink, blue). This adorable bag is made beautiful transparent, high quality , recycling, resistant and waterproof PVC. Unique and modern, perfect for making the difference.